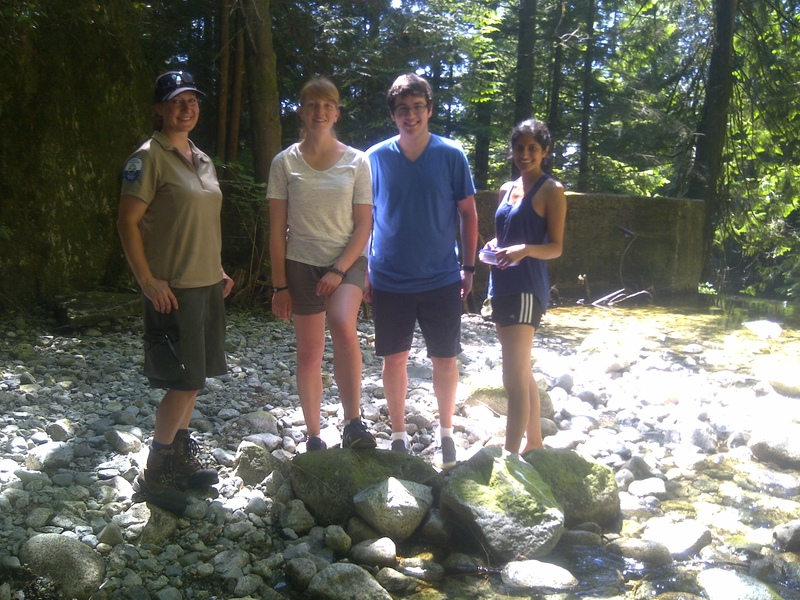 Today we went to scout out campsites for our annual Metro Vancouver Sustainability Toolboox leadership camp/course for high school students. 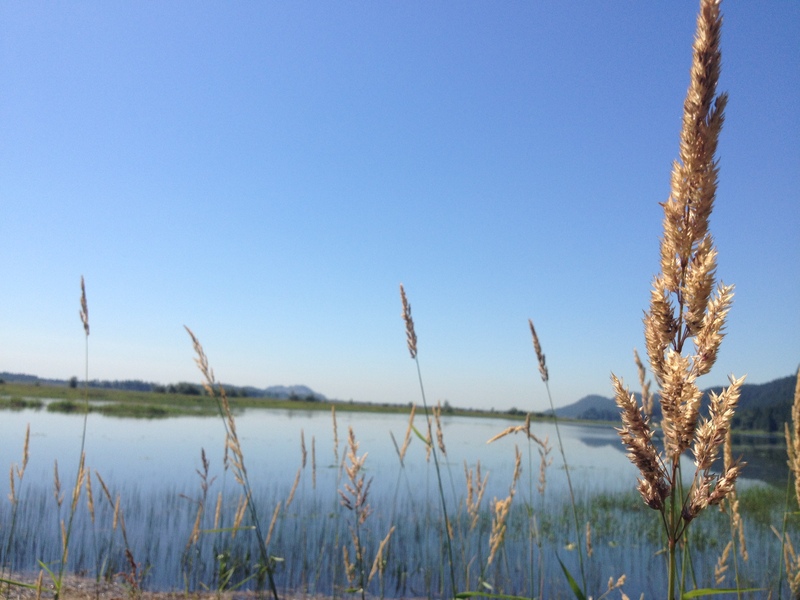 We started the day at Widgeon Marsh Regional Reserve — a beautiful gem that can only be accessed through a long, narrow, forest-lined, bumpy gravel road (or by canoe, which will be our mode of transport in August). As we drove in, the dust clouded above, illuminated by the rays of light which shone through in 30 degree smouldering heat. A lovely woman named Natalie (pictured left) showed us around the site. She is my stranger of the day. As we walked down from a gushing waterfall adventure, I asked Natalie what her typical work day looks like. She said something she loves about her job is that there is no typical work day. Each day brings something new. She works over at Minnekhada Regional Park. Most of the time, she works on site maintenance, which involves much more than I had previously thought. For example, sometimes she spends her days maintaining the trails and clearing the weeds along the paths. She sometimes comes across hummingbird nests — little mossy contraptions with “little eggs the size of M&Ms”. The park is a popular spot for weddings, too, so every now and then there’s quite a bit of excitement around that. I think it’s fantastic that Natalie spends so much time active and outdoors as part of her job. I know that (not so) deep down, my dream job would incorporate those same factors. She sets a great example for ensuring those important things are incorporated into her daily life. The work that she does is incredibly valuable, as she literally creates paths by which others can enjoy the outdoors and embrace active lifestyles, too. Thanks for opening this window into someone else’s life for people to learn about! I can only imagine how I would appreciate my day-to-day work if I was always discovering something that made me ‘ooh’ and ‘ahh’. My pleasure! Thanks for reading, Alan! Wouldn’t it just be such a dream to work outdoors all the time? Ahh.